Year 3 – September 8, 2014 – Sushi Anyone? Have tuna will make sushi. 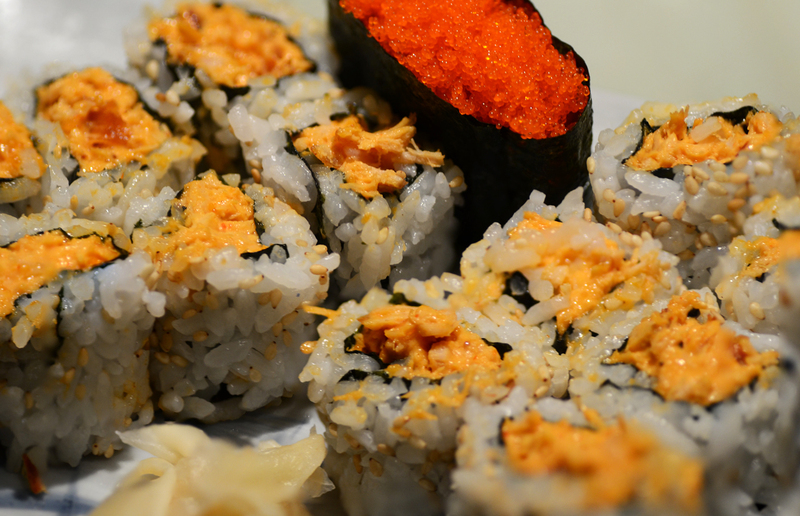 The solitary sushi is called Ebikko fish roe sushi and the rest of them are spicy tuna sushi. Not pictured are some very yummy Salmon (sake) nigiri, imitation crab sushi, tamago (omelet sushi) and some octopus (tako) nigiri. 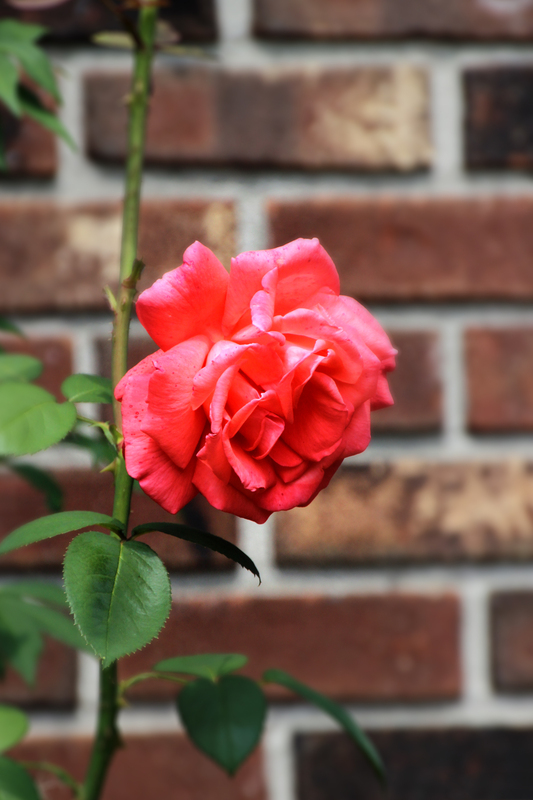 My neighbor has this solitary rose bush that usually only have one or two rose that is like a photograph waiting to be taken.